MMS is been in business training and development organization for over 41 years. We specialize and customize our programs for your management and employees in Change Management, Transition Management, Employee Engagement, Overcoming Negativity, Executive Coaching, Training and Licensing thousands of individuals MMS Coaches worldwide. The MMS Coach Training is the original COACH TRAINING Institute in the world that started in San Francisco in 1974 by founder Dr. Cherie Carter-Scott, MCC. 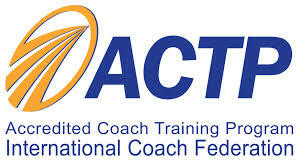 The MMS Coach Training offers two ICF programs: ACTP with over 125 training hours and ACSTH with 60 training hours. Dr. Cherie Carter-Scott, MCC is a Master Certified Coach of MMS Institute. Coach Michael co-leads and facilitates both programs. MMS assists individuals and organizations to make visions, dreams and goals become reality. We do this by supporting people discover their authentic selves in a productive, focused, harmonious and respectful manner. Since 1974 we have trained over 1,000 associated MMS certified coaches around the world, in 24 countries on five continents. In 1988 our programs became available in the Netherlands and in 2014 the Coach Training was launched in Bangkok, Thailand. Our two newest MMS coach training licensing partners are in Budapest, Hungary and Hooch Mi, Vietnam. In other words: we speak, teach, train, coach, consult, write books, and support people find their unique contribution so that they can make a difference. We are accredited to teach the Accredited Coach Training Program with 125 hours (ACTP) and the Approved Coaching Specific Training Hours (ACSTH) 60 hour program. THE ACTP is a start-to-finish coach-training program, the ACTP includes comprehensive instruction around the ICF Core Competencies and the ICF definition of coaching. The ACTP also includes Mentor Coaching, observed coaching sessions and a comprehensive final exam that evaluates a student’s coaching competency. Graduates of an ACTP may apply for an individual ICF Credential using the ACTP path. The Approved Coaching Specific Training Hours (ACSTH) program approved by the International Coach Federation (ICF). ACSTH approved programs are considered “al la carte” training programs, which may or may not offer start to finish coach training programs. MMS Coach Training offers students high content with 60 hours required for ACSTH program approval. This credential can be for the ACC ACSTH Path with 10 hours of Mentor Coaching and your Coaching log demonstrating 100 hours (75 paid) of coaching experience with at least 8 clients and complete the Coach Knowledge Assessment (CKA) exam (70% passing grade). The next credential under the ACSTH approved program is the PCC ACSTH Path with 125 hours of coach-specific training through an ACTP or ACSTH program. PCC Portfolio Path: 10 hours of Mentor Coaching is required and the Coaching log demonstrating 750 hours (675 paid) of coaching experience with at least 25 clients. Performance Evaluation (two audio recordings and written transcripts of coaching sessions). Complete the Coach Knowledge Assessment (CKA) exam unless previously passed when applying for ACC & PCC.